Alas, the day has come! 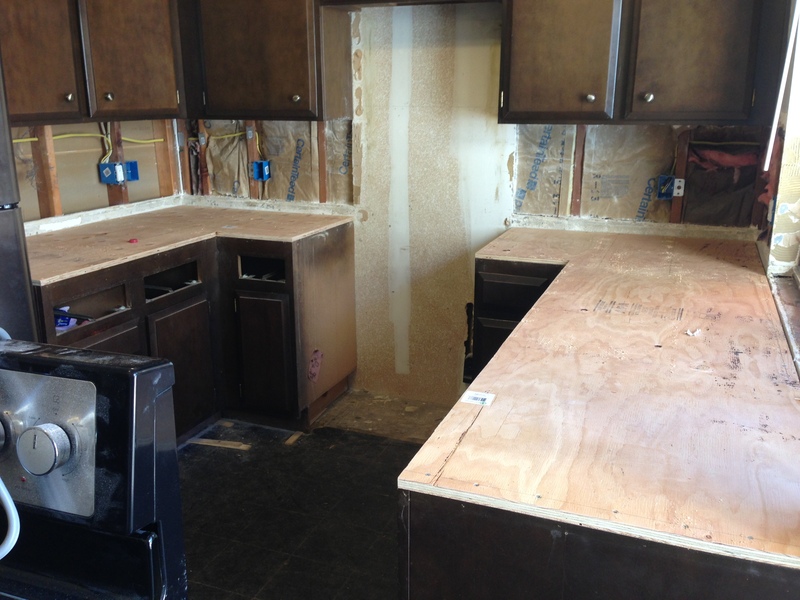 It took about 6 hours to complete the leveling of the cabinets… and only resulted in one neighbor asking about the noise. HandyDad FTW! He was paid handsomely in margaritas… something the renolista enjoyed one too many of as well… I digress! Thoughts? 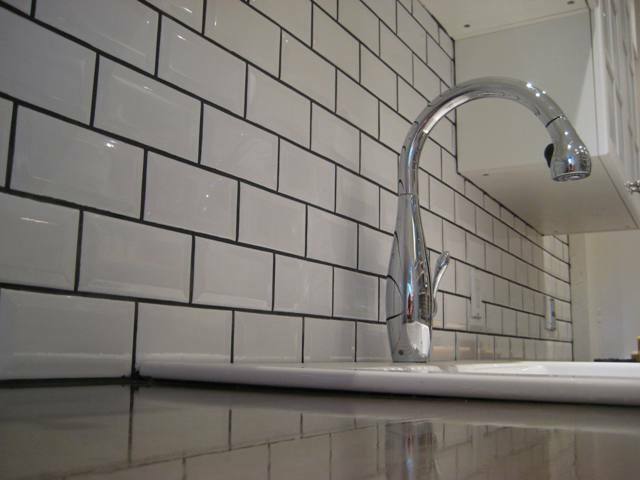 I’m planning a tight set and thought the darker grout would be a modern twist on an old standby. I wanted quartz. In fact I really really REALLY wanted quartz. What I didn’t want was the price. 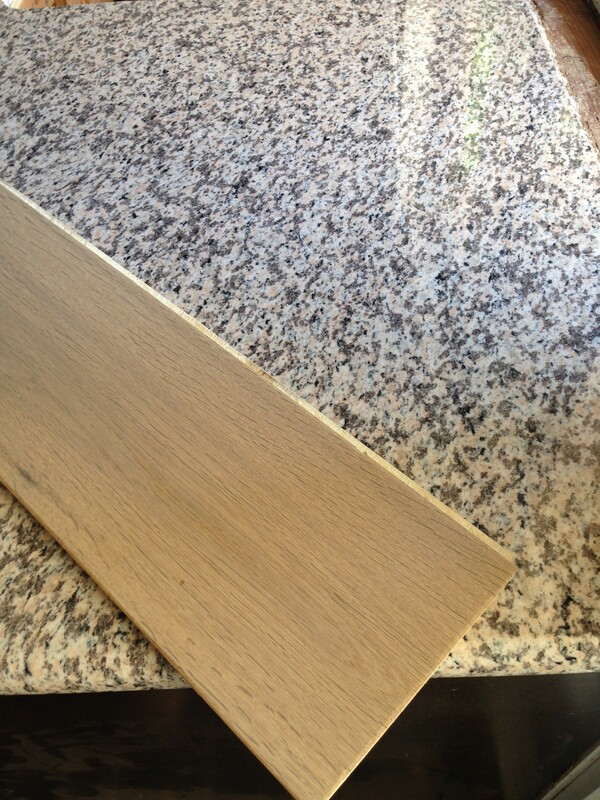 The Silestone I picked out was an astonishing $80 per square foot and I just couldn’t justify the price. 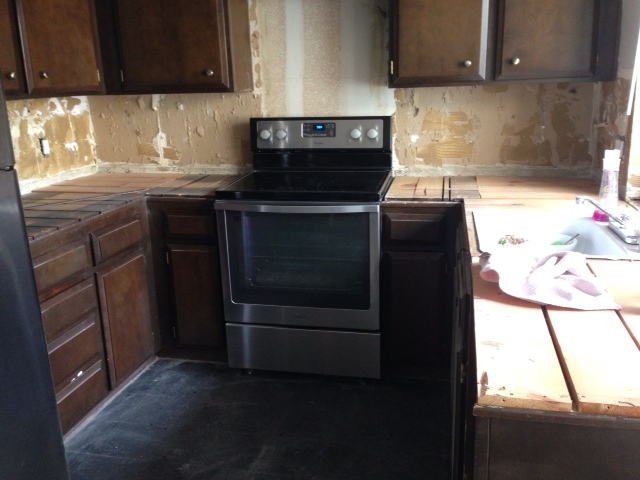 Even with 32 square feet of countertop space that added up to be way more than this Renolista wanted to spend. 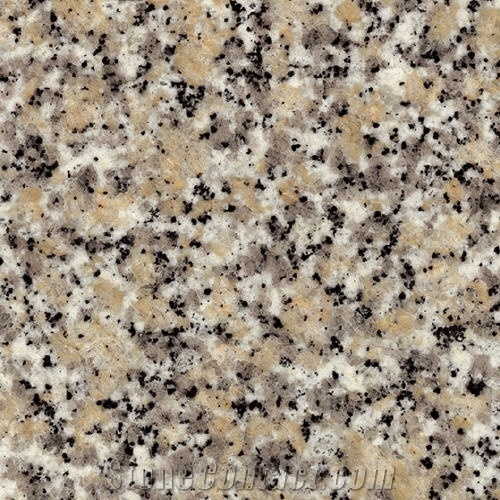 I started out not wanting granite because it was expected. EVERYONE has granite countertops. 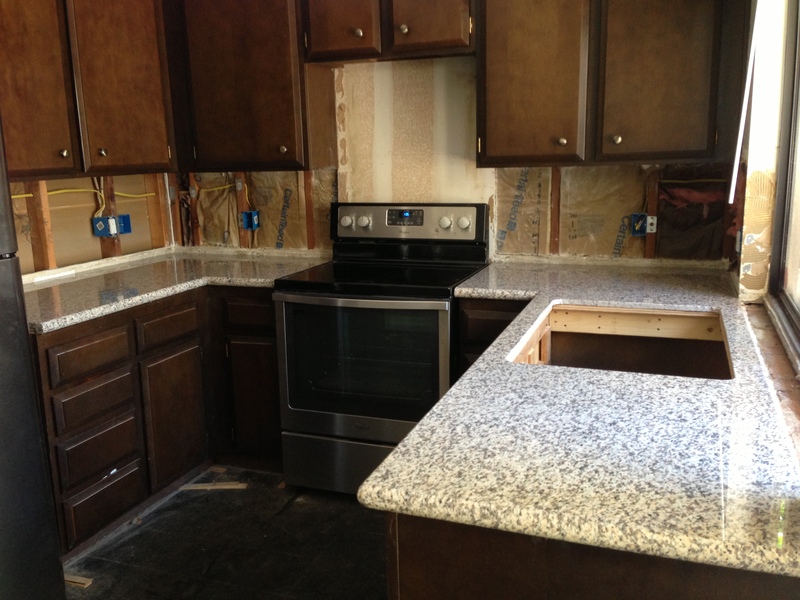 It wasn’t something that would help my house stand out when I decide to move on to my next project, but in the end the price won me over and I decided on some very nice granite countertops. 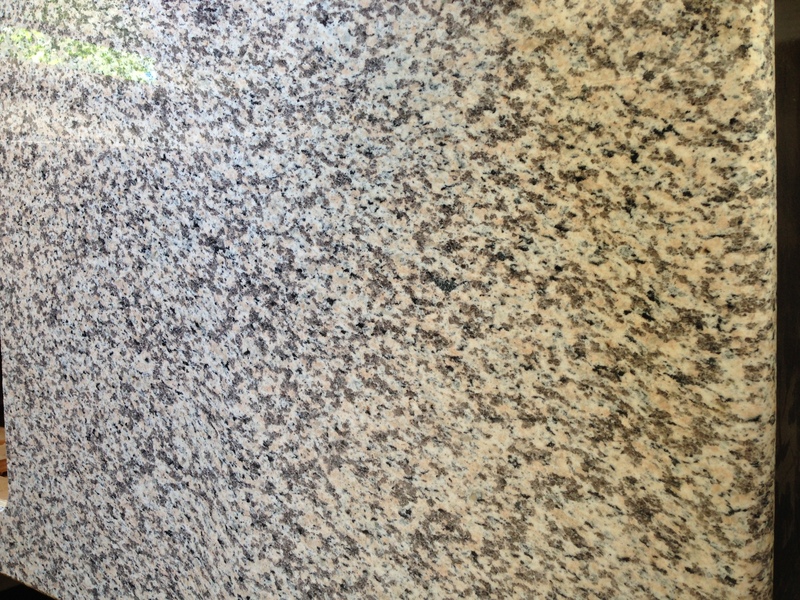 After spending a few weeks researching and gathering samples I found a screaming deal on some prefab granite slabs at the Home Depot. 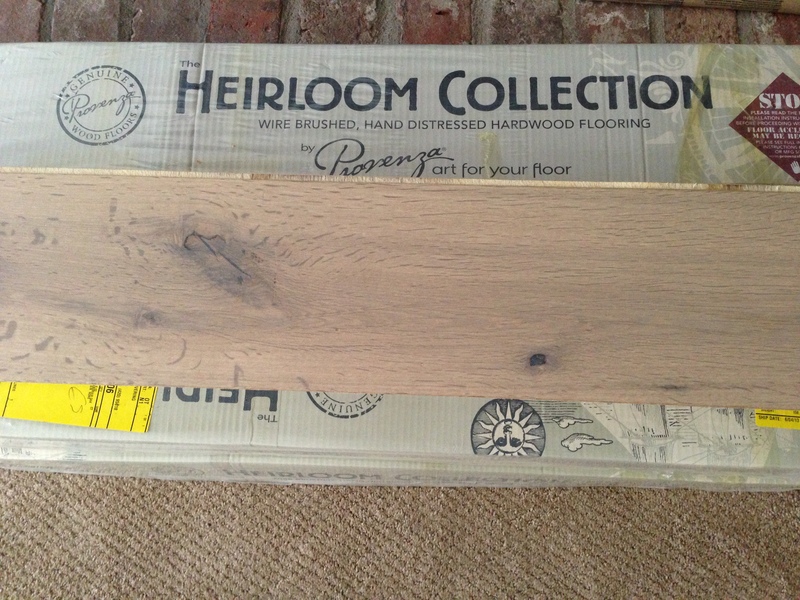 The color was great and matched my new flooring perfectly! 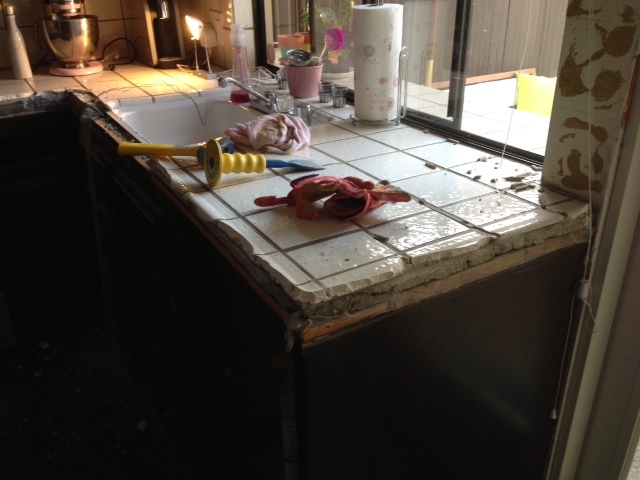 The countertops ended up being $35 per square foot PLUS and extra 10% off. This included installation and tax, and with the help of a Home Depot gift card I ended up spending less than $1100 for both the countertops and sink! I promptly made my way to the Home Depot to order them which meant only one thing… more demo. This is how my kitchen looks at this exact second. I joke that I’m going for a rustic log cabin look, but in fact it’s miserable. This Renolista has OCD which doesn’t allow her to enjoy the dust on every meal cooked, or the lack of space to even prep a meal. 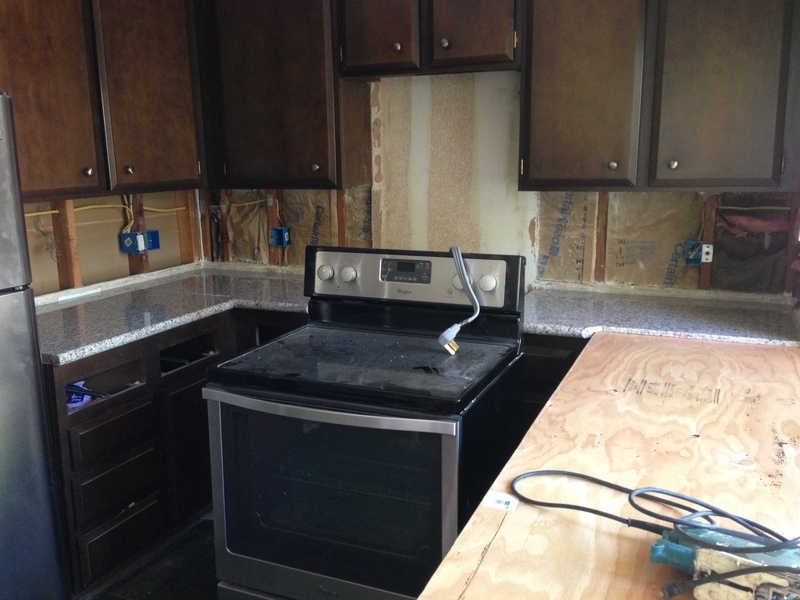 If these countertops don’t get installed soon I am not sure how I will live! 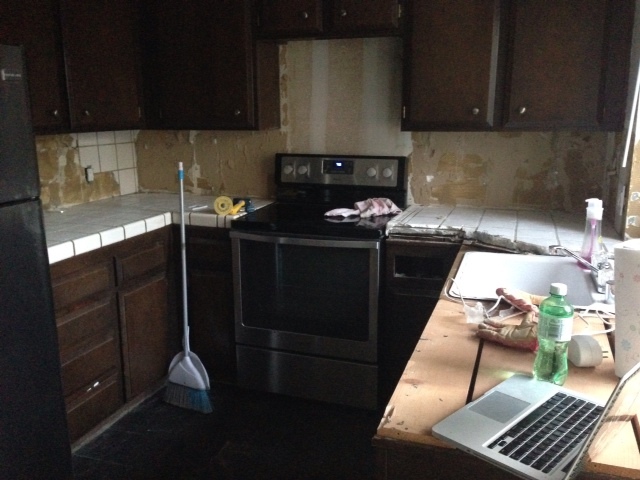 If only I knew about these things when I started the remodel… it’s the “joy” of reno, right? All are very budget conscious but really pack the style. The one thing I am not willing to compromise on is style for cost. I need both. This isn’t always easy, but so far patience and alot of shopping has sent me in the right direction! 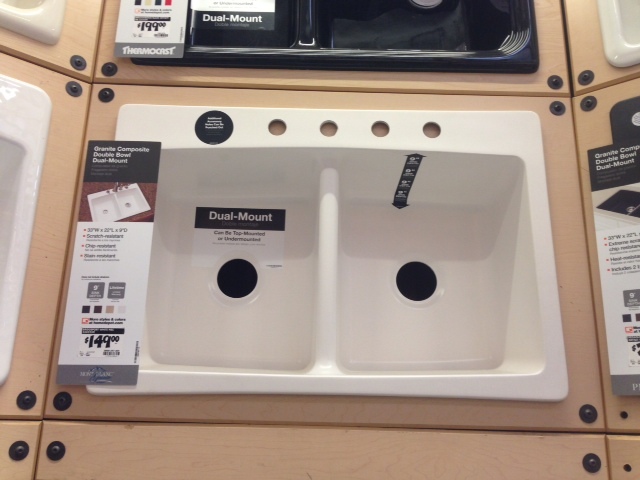 The sink can be found at the Home Depot and is a granite composite at the bargain price of $149. 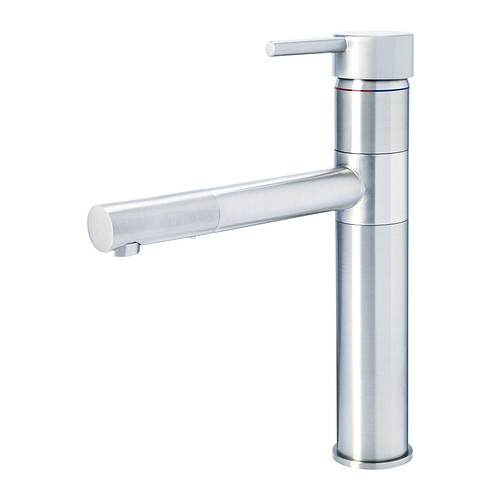 For the faucet it was really difficult to find something that caught my interest until I stumbled upon this beauty from Ikea and a great deal at only $99! The countertop company should be out next week to template the kitchen for fabrication so I am anxiously awaiting the phone call like a kid on Christmas! I can’t wait to have an actual kitchen again! !